Horses gallop across the sky. Serpents hoard gems in their subterranean realms. Turtles remember the goodness of old kings. Crows narrate epic poems. Dogs walk right up to the gates of paradise. Monkeys build a bridge across the sea. Vultures fly towards the sun. 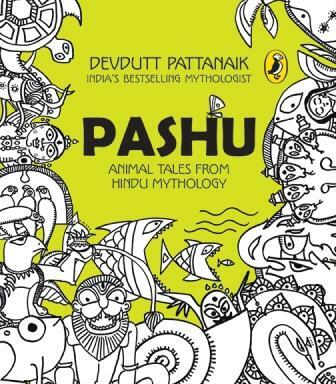 These are just some of the roles animals play in Hindu mythology. Hindus believe that in our past lives, we could have been animals and that in our future lives, we can be animals. We are all parts of the same chain. What differentiates us is but our bodies, not our soul. This book explores birds and beasts, big and small, found in the sacred books of India. With over hundred illustrations, and anecdotes about them, some big, some small, it reveals how our ancestors imagined the animal kingdom, and the key role they play in human lives.